We want you to rest assured that you will be dealing with a team of officials whom transparency and accountability is at the core of all their operations. An impartial and effective team that is selflessly working to serve all Kenyans in the USA, ensure their money is safe and bring to you only sound investment opportunities. Those are the principles that this Sacco is grounded on. Apart from being Board Members, it is through commitment, value and sacrifice to be of service to their fellow Kenyans in the USA that the entire team below happen to be the ones who co-founded Kenya USA Diaspora Sacco - the first Kenyan Sacco in the Diaspora. And in accordance with the Co-operative Societies Act Cap 490 Laws of Kenya and Kenya USA Diaspora Sacco Society by-laws, the current team of Executive and Committee Board members are charged with the responsibility of managing the Sacco on a day to day basis and will be serving you in this Sacco. 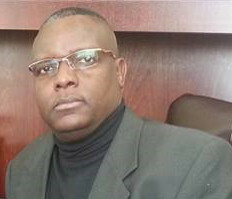 Simon brings invaluable experience and service to the management team of the Kenya USA Diaspora SACCO. For more than 20 years, he has provided institutions and governments with strategic financial services with a focus on business, corporate finance and financial advisory services to emerging market companies and financially stable organizations. His skills include and, are not limited to: the overall management and operations of business, outsourcing, entrepreneurship and consulting. Simon has also held strategic and influential positions with, J.P. Morgan Chase, Chase Home Equity, U.S. Census, Bureau and Central Bank of Kenya. He is among the very few individuals who holds the title of Certified OPIC Loan and political risk insurance Originator for Sub-Sahara Africa, a federal agency of the US Government and is certified under its Economic Development Network(EDN) Program. Simon is based in our Nairobi offices located in Victoria Towers Ground Floor, in Upperhill. He is an ex-diaspora having lived in the USA for 12 years and divides his time between Kenya and the USA. Catherine brings a Management background to the Sacco that stems from years of working in various Nursing Management roles. In her 12 year career ladder in the USA, she has worked as a Nurse, an Instructor, Evaluator and more in the Greater Seattle Area. 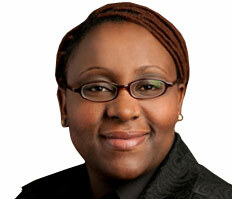 She has vast experience in quality improvement and service delivery. Catherine is passionate about creating positive change through training, coaching and mentoring, and is involved in the Kenyan community at various levels. Catherine loves to write, sing, get involved in church activities and spend time with family and friends. Ralph has been a successful businessman for more than 20 years. He is also a founder and a board member of several professional and network organizations based in Atlanta. With a background in Engineering and Business Management, he brings with him a wealth of experience to Kenya USA Diaspora Sacco, and is very passionate about philanthropic work, and devoting his time and resources by giving back to the community in Kenya. 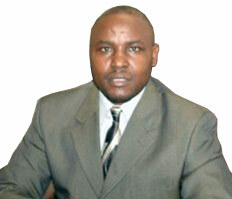 David Wanjiru is currently the Chief Information Officer (CIO) for the California Department of State Library (CSL). He provides oversight for the efficient and effective use of Information Technology (IT), telecommunications resources and business solutions within the CSL. Prior to his current role, David spent 25 years in various positions with the State of California working for the Departments of Water Resource, Transportation, California Energy Commission, and taught IT and critical thinking online courses at the University of Phoenix. He is currently a part of the 2016 California Government Transformation Forum Advisory Board. 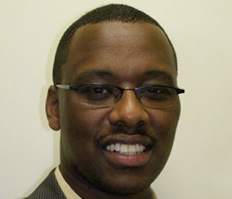 David is an active and a founding member of Ushirika Kenya, a community-based nonprofit organization dedicated to building a strong, united and thriving Kenyan community in Northern California and throughout the United States. He is also an entrepreneur and founder of Pork Delights Limited, an established Kenyan Agribusiness pig farming entity based in Kikuyu, Kenya. He is actively engaged and in involved in conferences on Kenya and Sub-Saharan affairs. He was the keynote speaker at the 2015 African Diaspora Marketplace III grant competition. David attended high school at Starehe Boy's Centre, before getting his college education, a bachelor's degree in Physics and Computer Science at Principia College located at Alton, Illinois. He is also a graduate of the California State University, Sacramento, where he acquired his Masters of Business Administration Degree. He lives in Sacramento, California with his wife and their two sons. He believes leadership is about serving others, and working with others to achieve a meaningful mission. His leadership philosophy has been developed over many years of public service. He seeks to learn from others, and treat every failure and success as a learning opportunity. His personal learning philosophy is to learn by actively participating and engaging in problem solving. He believes that the Kenya USA Diaspora SACCO will be the catalyst for financial transformation for the diasporans and Kenya in ways it has never been envisioned. David enjoys travelling, reading books, hiking, biking and spending time with his sons. Soccer is his favorite sport and enjoys coaching his boys teams. 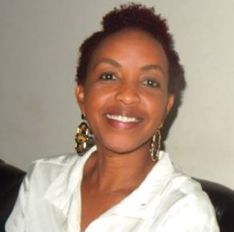 Rose is a successful entrepreneur and is one of the founders of Kenya USA Diaspora Sacco Ltd. With a background in e-Learning technology she worked for several years in corporate America before venturing to do her own business. Rose holds a Bachelor’s degree in Information Technology (IT) and a Diploma in Computer Science. 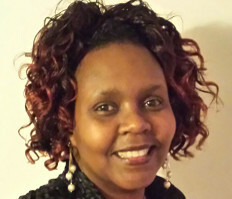 At the inception stage of this Sacco, Rose worked tirelessly for many years committing her time and resources to help design, built, consult and manage the various technologies that run the Sacco including and not limited to building the website content, managing the servers, Sacco website, email and the Sacco system. She's an ex-diaspora and currently lives in Kenya where she dedicates time towards identifying investments and opportunities of worth that can benefit the Sacco members; working closely with stakeholders, legal teams & partners to guide and drive each initiative while protecting the Sacco and members interests. As an entrepreneur, Rose splits her time between the United States and Kenya where she's importing and distributing California wine & Champagne into the Kenya market. In her spare time, Rose loves to read, travel the world, wonder around on the Internet, go for walks and jogs in nature and catch up with family and friends. Eric brings over 20 years of marketing experience having worked for some top brands such as Shell & BP, Africa Online, S.P. Richards and GE. He is a proud father of 3 and an active Community Service Leader. 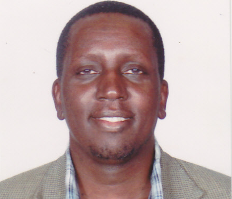 Eric is an avid sports fan and a proud Alum of Lenana School and the University of Nairobi. He holds a Bachelor’s degree in Economics and is also a Chartered Marketer from the Chartered Institute of Marketing in Birmingham, UK. Eric currently works with Synchrony Financial (formerly GE Retail Finance). He is also the President of African Business Network, ABN, your preferred partner in Networking and Business Marketing Solutions. In his spare time he also finds time to run a non-profit organization called Chance Afrika that seeks to help and support children through sports and educational programs since 2006, tapping to his compassion and love to give-back to the Youth. In his early life Eric played hockey, soccer and rugby and was the Captain of the University Rugby Team. He also played for the Kenya select rugby team. He is a selfless and dedicated community Leader whose drive for results, excellence and getting people together for the common good is outstanding. Angela brings a rich recruiting and HR background in corporate American spanning over 14 years to the Sacco. She has a strong passion for helping others achieve their goals in various facets of life, and is actively involved in the Kenyan community in Atlanta, serving as a board member for a nonprofit organization. Angela holds a Bachelor of Science in Business Administration and a Master of Human Resource Management. When not working, Angela enjoys spending time with her family. 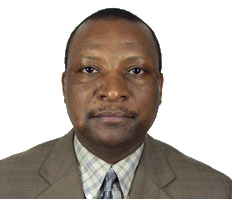 Francis Kioko aka Frank Kioko is the visionary and founder of Kenya USA Diaspora Sacco Ltd. He brings to the board members a rich pre-existing desire and passion to serve the Kenyan community in the Diaspora as expressed by many awards and respect he commands across the board. He has demonstrated strong stewardship spirit by the way he manages his businesses and all organizations he has been involved in before. He brings a wealth of experience in providing trusted, quality and personalized financial guidance to individuals and businesses throughout the USA. He is widely sought after to provide his expertise and experience to diverse clients, ranging from start-ups to well established companies. It was through his interactions with Kenyans in the USA that he sought to find a solution to their financial woes. He is trusted, honest, transparent and a man of unquestionable integrity. And because of the trust Kenyans in Diaspora have for him, it was easy for them to buy into his Sacco vision. 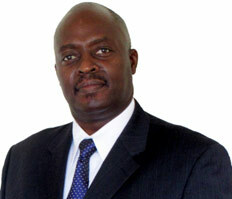 Francis Kioko is a well accomplished businessman owning businesses in the United States, South Africa and Kenya. He is an Enrolled Agent with United States’ Internal Revenue Service (IRS) department and has been in Tax consulting business for more than 14 years. He is the President of Frank Tax and Financial Services LLC, an American based business serving both Americans and Kenyans across the United States. Frank Tax is a well-known Company with great reputation among Kenyans in the United States especially in Money transfer and tax related services. Many Kenyan based companies and banks like Equity bank have made Frank Tax their main agent in the United States. Many Kenyans in Diaspora came to know Francis Kioko’s name through his business. He is the CEO of Better Choice Tours and Travel ltd based in Kenya, offering tourism and travel services throughout the world. He is also the CEO of Frank Realty Group ltd, a real estate Company offering real estate solutions to the Diasporas at large.Back in Kenya Francis worked in the Sacco and banking industry for more than 10 years before relocating to the United States of America. He held various positions in Finance and Accounting which is his main specialization having pursued Kenyan CPA in his studies in Kenya. When he is not tending to his businesses, Francis enjoys spending time with his family and has always a smile on his face. As a member of the Kenyan community in the Washington DC area, James has actively been involved in Diaspora affairs for the past 23 years. He has been a member of various Kenyan Diaspora groups that agitated for Diaspora voting and dual citizenship. Together with the Embassy of Kenya, he has been involved in the organization of the annual Diaspora Conferences in Washington DC. James brings a robust experience having worked for the US Federal Government in various capacities for over 15 years. Some of his roles included being an Information Systems Security Analyst with the Federal Aviation Administration (FAA) and a Contracting Officer's Technical Representative (COTR) for the government whose primary responsibility was to liaise with contractors on issues relating to Task Order expenditures and project management. As a sportsman, James is a tennis player and as an avid golfer was the founding member and first chairman of Safari Golf Club in Maryland, which has spawned similar sister Kenyan golf clubs in major cities across the USA. Currently, James is a successful entrepreneur running a healthcare staffing agency in Columbia, Maryland and most notably, a proud dad of 4 girls.